and a lavish dose of nostalgia of the charms of Old Delhi served with a smile! Our recipes are original and made in the traditional way. So you get the perfect and authentic taste. Adds to the taste and makes you feel at home. So you can enjoy your favorite food all day of the week. Paneer (cottage cheese) in thick gravy prepared with cream, tomatoes and spices. Deep-fried balls made of corn flour and khoya soaked in sugar syrup. Cubed paneer (cottage cheese) coated and flavored with cream and spices and roasted in tandoor, then filled in soft makhmali roti. Round, hollow puri (Indian bread), fried crisp and served with a mixture of flavored water, tamarind chutney (sauce), chili, chaat masala, potato, onion or chickpeas. Freshly made tandoor (oven) baked bread seasoned with butter. Triangle pastry stuffed with potatoes, peas, dry fruits and seasoned with cumin seed. Try our best combination of thalis packed and served to get the best satisfaction of your traditional and authentic Indian food and street snacks right from Old Delhi. Freshly made plain whole wheat grain flour bread, stuffed with potato, shallow fried in butter and served with fresh yogurt and pickle. Crispy round 6 Aata (whole wheat flour) OR sooji (drum wheat flour) shells. 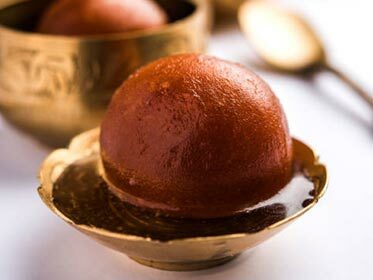 Each filled with exotic spices, potatoes and served with mint & tamarind water. Cottage cheese cubes marinated with chef's special spices cooked in Tandoor. The traditional Chana Bhatura from Chandni Chowk served with 2 big and mouthwatering Bhaturas. Lettuce, cucumber, tomatoes, potatoes, capsicum, and cheese. A semi dry preparation of soft cottage cheese cubes cooked with onion, tomatoes & green peppers. Freshly made plain whole wheat flour bread. Fried gram flour droplets in perfectly spiced thick yogurt. A perfect ​accompaniment to any Indian meal. 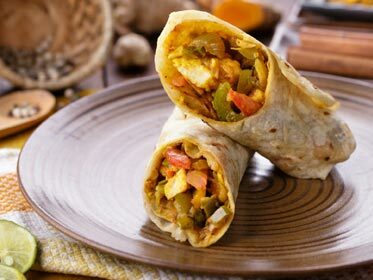 (2 Sabzi, Daal or Rajma or Choley, Raita, Jeera Rice, 3 Paratha or 4 Tawa Roti, Salad, Achar, Chatni, Papad & Sweet). Freshly made plain whole wheat grain flour bread, stuffed with cauliflower, shallow fried in butter and served with fresh yogurt and pickle. Round, hollow puri (Indian bread), fried crisp stuffed with creamy curd, onions, boiled potatoes, green chilies, spices, pulpy tamarind and coriander chutney (sauce). Cauliflower florets marinated with cream, spices and besan (gram flour) and cooked in tandoor (clay made oven). Traditional jammu style two big size poori served with choley , Kaddu ki sabji & Aloo ki sabji. Vegetables sandwiched between bread and grilled for delectable taste. Paneer (cottage cheese) in a thick gravy made from pureed boiled spinach and seasoned with garam masala(assorted spices). Fried lentil papadums topped with a tangy mix of onion, tomato, green chilli, corriander, lemon juice and Chaat masala. 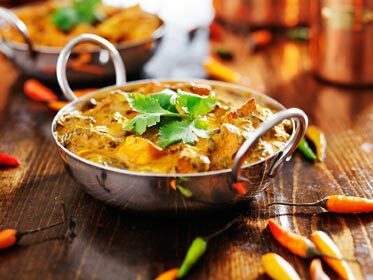 (Dal Makhani, Shahi Paneer, Mix Veg, Raita, Jeera Rice, Salad, 2 Laccha Paratha or 2 Baby Naan, Achar, Chatni, Papad & Rasmalai). Classic Indian tea blended with select herbs. Iced buttermilk spiced with roasted cumin seed & coriander leaves. Freshly squeezed lime juice , churned with water served sweet/ salty. A non-alcoholic spin on the classic cocktail, fresh lemon, limes fresh mint, grapefruit juice, sugar syrup topped with club soda. A perfect blend of yogurt and sugar added with mango flavor. A sweet and sour tasty and healthy Indian drink made with green mangoes and flavored with mold spices. Fresh lime Juice mixed with soda water (sweet or salty). Blue Curacao syrup with a dash of fresh lime juice, topped with lemonade. my taste buds like proper homemade jalebis. Best and desi breakfast is served at Chatori Gali…. Experience the original food of Chandni Chowk in a setting that will take you back to the homeland. We are waiting to take you back to the unforgettable experience of Chandni Chowk. Come experience the stimulating food of Chandni Chowk in a relaxing environment. Order your favorite food at your doorstep from Zomato. Download the Android or iOS app. Click on the Zomato logo.